TR-L10 RGB video light has 12 pieces of high performance white led and 6 pieces of RGB led. This light can be used as common video light and color video light. It can provide 300 different colors by rotating the rotary knob beside the light. With RGB light and rendering Ra96, TR-L10 is excellent at representing color especially the people skin color. 1.With 12 pieces of white led and 6 pieces of RGB led, can be used as common video light and color video light. 2.The mixed white light has higher color rendering Ra96.Highly represent the subject. 3.It has color compensation unit inside the light ,the video camera does not need white balance adjustment. 4.This color video light can provide 300 different colors, and each color has a color value in the LCD display. Keep away from rain and/or moisture. Please reduce the power when the ambient temperature exceeds 30℃. This product does not include battery and charger. The mixed white light has higher color rendering Ra96.Highly represent the subject. It has color compensation unit inside the light ,the video camera does not need white balance adjustment. 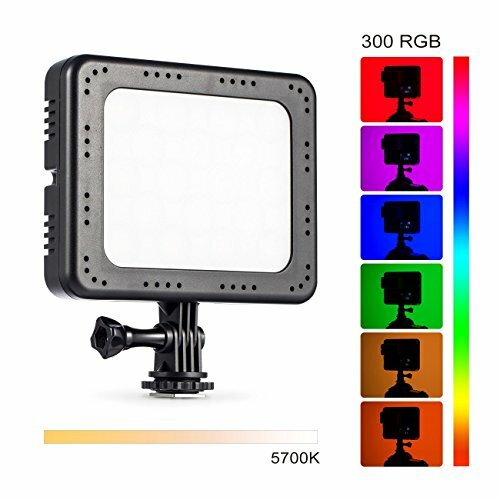 This color video light can provide 300 different colors, and each color has a color value in the LCD display. Adding RGB light into usual LED light, good at representing color especially the people skin color. If you have any questions about this product by TARION, contact us by completing and submitting the form below. If you are looking for a specif part number, please include it with your message.